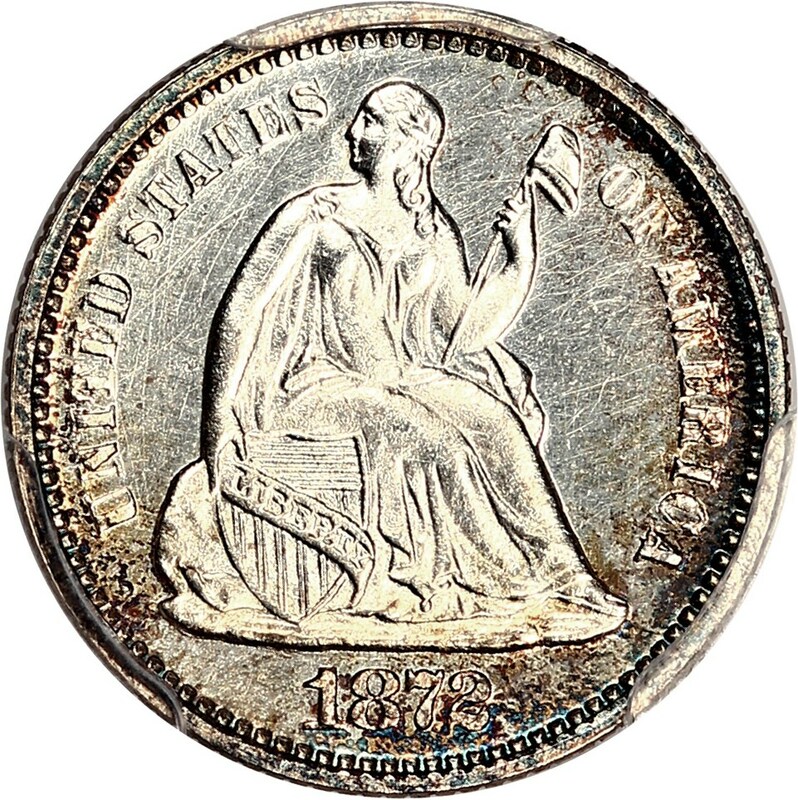 Proof Liberty Seated half dimes were made throughout the run of the series, which was struck for circulation from 1837 through 1873. Proof coinage was struck in varying quantities during the course of the 19th century. Today, some of the earlier proof Liberty Seated half dime issues offer fewer than a dozen known specimens each while others from later in the series number well into the hundreds. The few known proof specimens from the first years of the Liberty Seated series trade for five-figures sums, while later pieces are commonly bought and sold for less than $1,000 each. Among the most common proof Liberty Seated proof half dimes are issues from the 1860s and 1870s, with many of these available with some frequency in the PR65-67 levels. Cameo specimens are scarce and worth more than dull proofs with no cameo contrast. Also trading for premiums are brilliant proofs, which tend to perform better than issues with cloudy fields.